After a week of boxing we have made it to the final. This is where everybody wanted to be when they first strapped on their gloves but only 2 have made it. Well done to Danny D and Michael B for making it this far. Both boys were representing Orion so Orion score a guaranteed 35 points whoever emerges victorious. The points were secondary though, both wanted to be able to say they were a champion. The first round started and as with so many of the 'fights' in this tournament it was a close one. Judge 1 scored it 4-4. Judge 2 scored it 4-4. Judge 3 scored it 3-1. To Danny. The second round began and again you could barely pick a winner from the 2. Judge 1 scored it 3-3. Judge 2 scored it 2-2. Judge 3 scored it 4-3. To Danny. The final round of the final began and Danny was 2-0 up. Very close and definitely still a chance for Michael to win. Judge 1 scored it 5-4 to Michael. Judge 2 scored it 4-3. Judge 3 scored it 5-4. Both in favour of the new Constellation Boxing Champion of Fielding....Dannnnnnnnnny ' The Destroyer' DDDDDDDD. Well done to both finalists but a huge congratulations to Danny for becoming the first Fielding Constellation Boxing Champion. The trophy is on its was to school for you to accept on behalf of Orion. Fellow 'Orion'ers' make sure you give Danny and Michael a pat on the back when you see them for representing your constellation so well. Both fought bravely in their semi final 'fight' but both Maxi S and Luka V now had to settle for a battle for 3rd place. If you thought the competitors would be dejected and not bothered after losing in the semi's think again. Both wanted the bronze and the points for their constellation and came out wanting the victory for themselves. This was a close contest which was reflected in the scores. Judge 1 scored it 9-9, judge 2 scored 11-10 to Luka and judge 3 scored it 15-12 to Maxi. Both had 1 round each so far. 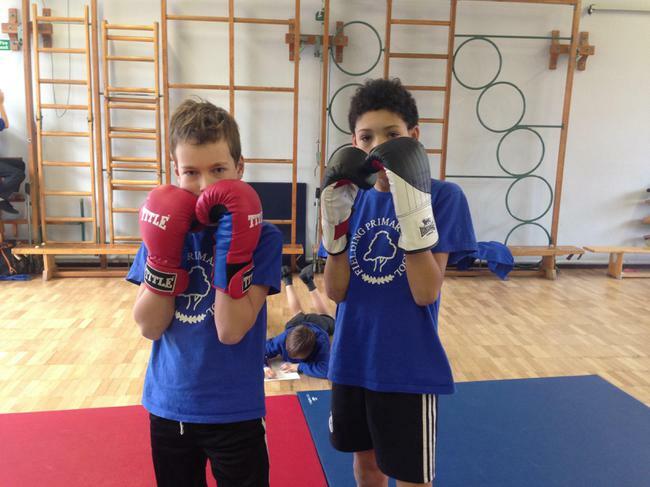 Round 2 was fierce and both boxers had to be reminded that only 'tags' to the shoulder counted in the hunt for points. Judge 1 scored it 12-9 to Maxi, judge 2 scored it 5-5 and judge 3 scored it 7-6 to Maxi. The third and final round for the bronze medal and both were getting tired and started to drop their guard more often. Judge 1 scored it 12-10 Maxi, judge 2 scored it 11-9 Luka and the third judge scored 9-7 Maxi. Which means the boxer picking up third place is Maxi. Well done both boxers. Great show. Luka scores 5 points for Pegasus for 4th place and Maxi scores 10 points for Cygnus for 3rd. 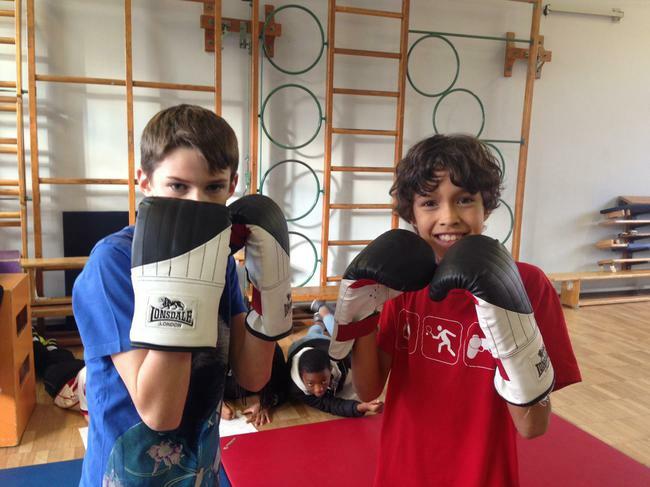 Today was the final day of the Fielding Constellation Boxing Tournament and we had 4 great boxers left in. Maxi S (Cygnus), Danny D (Orion), Michael B (Orion) and Luka V (Pegasus). 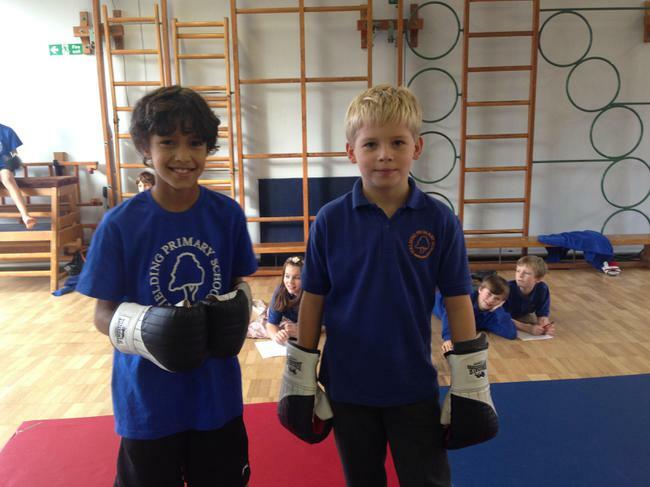 Competing in the first semi final was Maxi and Danny. This was a fight that was always going to start quick with both showing in previous rounds that they were capable of scoring lots of points. It was Danny who took the lead in this match up winning 10-9 from judge 1, 12-10 from judge 2 and 15-12 from judge 3. Although each judge scored it very close it was now 3-0 to Danny. Maxi had to push even harder. If anybody watching liked round 1, they would have loved round 2. Both boxers decided to pick up the pace and both went on the offensive again. Judge 1 gave Danny 18 points to Maxi's 15, judge 2 scored it 15-11 to Danny and judge 3 scored it 21-17 to Maxi. Into the final round and Danny being ahead on rounds could smell the final. The first judge scored it 16-12 to Maxi though. Could this be a comeback? The second judge scored it 13-12 and the third scored it 12-9 both in favour of....Danny. Well done both boxers. Danny through to the final for Orion. Over to Luka and Michael for the second semi final. The first semi final was all about getting on the attack and scoring the points, this one was about defence and stopping the opponent scoring points. It was another very close contest but it was a lower scoring contest. The first judge scored it 3-2 to Michael, the second judge scored 2-0 to Michael and the third scored it 4-4. Slight advantage belonged to Michael then. The next round was again very close, this time being scored 4-4 by the first judge. Judge 2 disagreed and scored 4-3 to Michael and judge 3 disagreed again and scored 6-5 to Luka. The score going into the last round was 3-1 to Michael. Luka had to win the round from every judge to go through to the final. Luka boxed well but was it enough? Judge 1 said yes...6-5 to Luka. Judge 2 and judge 3 both said no....they scored it 8-8 and 10-10. Michael goes through to the final also for Orion. Well done both boxers. So before we got the quarter finals under way today we had one more bout in the round of 16 so Alys G and Daniel DJ were up first. The first round was close and cagey from both boxers to begin with but as the round went on they both settled into their strides. It seemed the judges disagreed about how many points were scored with 1 scoring it 3-3, another scoring 9-9 and the final scoring 5-3 to Daniel. It seems they did all agree however that it was a very close round. Onto round 2 and a similar story from the boxers and the judges with 2 judges scoring the round 3-3 and 2 scoring 8-5 to Alys. That put the boxers on 1 round each going into the third and final round. 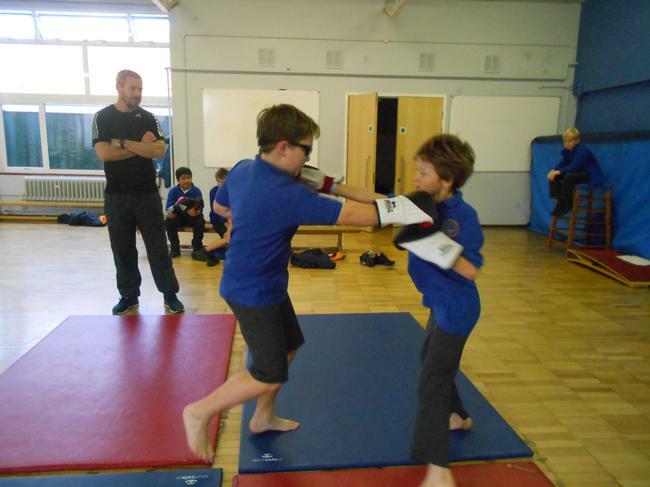 Both boxers scored some good shoulder tags while both displaying great movement to avoid being tagged themselves. In the end though only 1 boxer could go through to the quarter final and that was.....Alys. Two of the judges scored the final round in Alys' favour while the other scored it to Daniel. Well done both boxers. Into the next round of the tournament now then and only 8 boxers left fighting it out for the trophy and the 20 constellation points. The first 2 boxers in was Luka V and Waseef S. The crowd at the tournament has grown every day this week and everybody was expecting a great match up between these two. They didn't disappoint with both scoring more then 10 points each in the opening round according to all three judges. Unfortunately for Waseef all 3 scored the round in favour of Luka. The second round saw both boxers opt to adopt a more defensive approach with less punches thrown and less points scored. This turned out to be a very even round with 2 of the judges only separating the boxers by a single point and the third having them even. 11-10 to Luka, 8-8 and 9-8 to Luka. The third round was another close one with Waseef coming very close to winning the round again but only just falling short. 7-6 to Luka, 7-7 and 10-7 to Luka. Well done both boys. Luka V through to the semi's. The second quarter final was contested by Daniel J and Michael B. 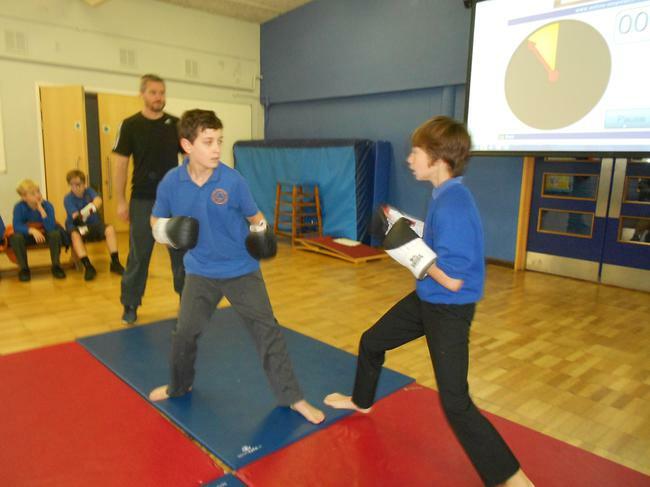 This was another 'fight' which had great expectations from the crowd and Mr Winn and Mr Thomas. 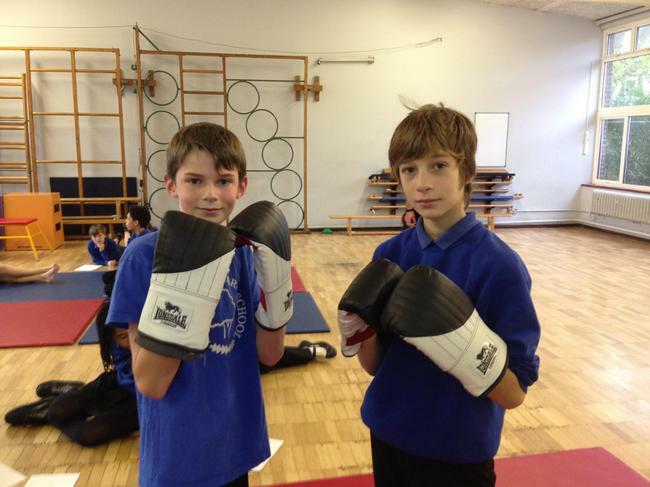 Both boys had already impressed in previous rounds and both were keen to do so again. The will and skill of both boxers seemed near identical in the first round with judge 1 scoring it 5-5, judge 2 scoring 7-7 and judge 3 scoring it 6-6. The second round started and although it was very close again the judges did favour one of the boxers this time. Judge 1 scored 13-12 to Micahel, judge 2 scored 10-8 Michael and judge 3 scored it 7-6 to Daniel. Still very close and still winnable for both boys. The third round proved to tell a similar story to the second, very close but edged by one boxer. 10-8, 8-7, 7-8. Michael had won 2 judges over and Daniel 1, which means Michael B joins Luka in the semi's. Well done both boxers. 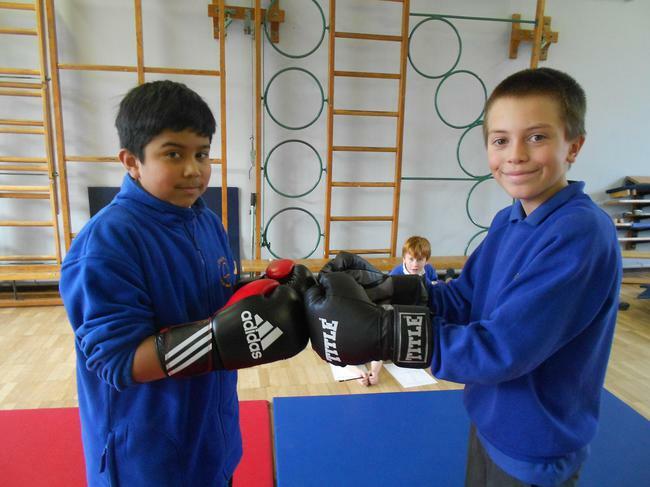 Quarter final number 3 meant it was the turn of Maxi S and Arun S to touch gloves. It was Arun who came out quickest in this contest scoring a good tag right from the bell. Maxi though was quick to answer back with some good tags of his own. At the end of a very entertaining first round judge 1 scored it 6-4 to Maxi, judge 2 scored scored it 6-5 to Arun and judge 3 scored it 7-4 to Maxi. 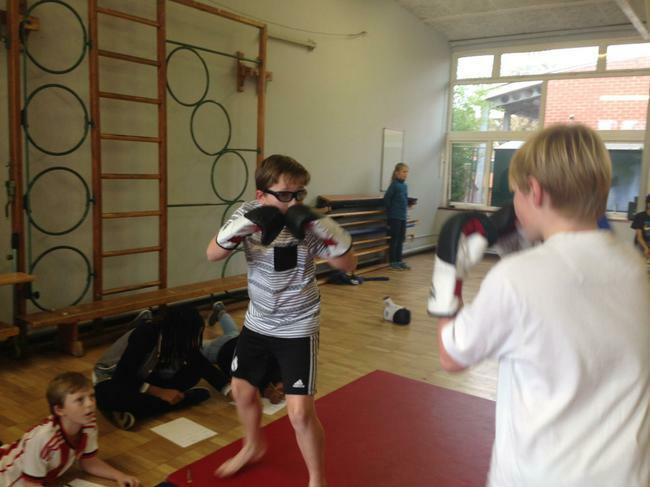 Round 2 and both boxers changed tactics and decided a more offensive approach was needed. This resulted in an even more entertaining round for the fans with more points being scored. 12-11 to Maxi, 10-7 to Maxi, 10-9 to Maxi. The quicker pace to the second round seemingly suiting Maxi more. One more round to go though so still all to play for. Fantastic final round and Arun had won it 10-8 according to the first judge. Unfortunately the other 2 disagreed with both scoring it in favour of Maxi. This meant Maxi was through to the last 4. Well done both boxers. So the 4th quarter final of the day and a second 'fight' for Alys G, this time up against Danny D. Although Alys may have been at a slight disadvantage owing to this being her 2nd 'fight' of the day Danny had mentioned before the the bell rang that he had hurt his foot but bravely decided to compete. Both boxers not being completely fresh seemed to have affected the strategies they were employing in the 'fight' with both being very cautious, keeping guards high and throwing a very small number of punches. Although not many were thrown all 3 judges did see some scoring tags, most in the first round coming from Danny. The first judge scored 3-1 Danny, the second scored 5-1 Danny and the third scored 4-1 Danny. Round number 2 was a lot closer than the first with both boxers again opting to play safe and keep moving around each other. Judge 1 scored the round 1-1, judge 2 scored it 3-2 Danny and the third judge scored it 2-1 Danny. 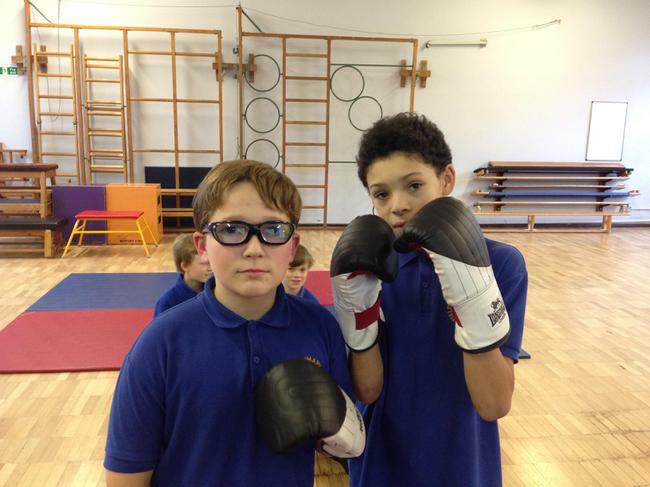 The final round proved to be a tough one for both boxers with both starting to look tired. As a result it was another tight, low scoring round. Two judges scored the round a tie at 2-2, while the third judge scored it 2-1 to Danny. 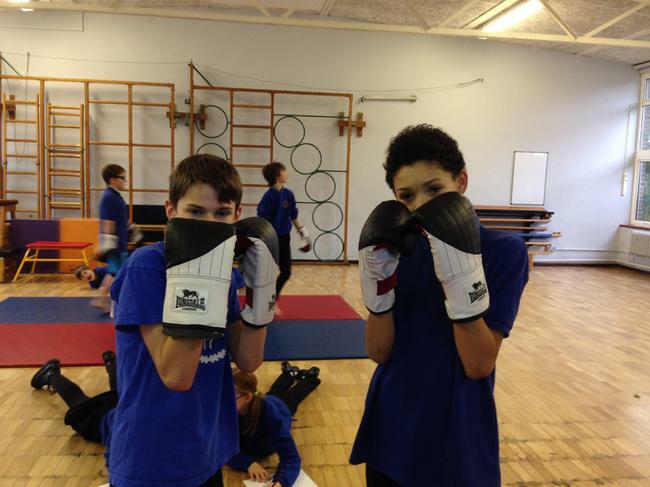 Although the points advantage was marginal in each round, it is Danny who joins the other 3 boxers in the semi's. 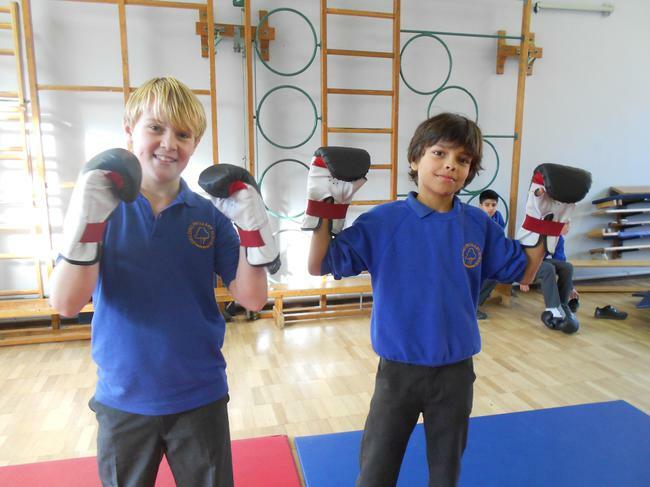 Again well done both boxers! Congratulations to all of our boxers today for putting on a great show. The four remaining boxers now have the weekend to prepare for their semi final bouts on Monday. After the semi's, 2 will box again for 3rd place. This will then leave us with the final 2 and the main event of the final of the first ever Fielding Constellation Boxing Championship. Check back on Monday to find out who is Fielding's most skilled boxer!! 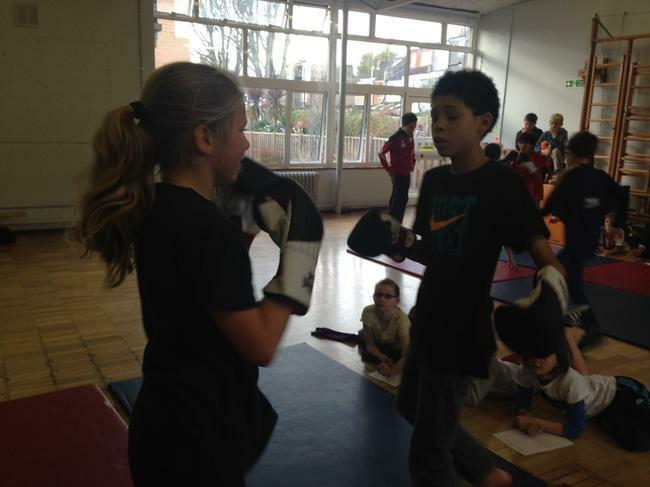 We were due to have the last 4 'fights' from the round of 16 today but as 1 of our boxers is also a great footballer (Alys G) we only had 3 today and will be playing catch up by staging 5 'fights' tomorrow. First up today was Ben H and Arun S. This was another one which started very very quickly. 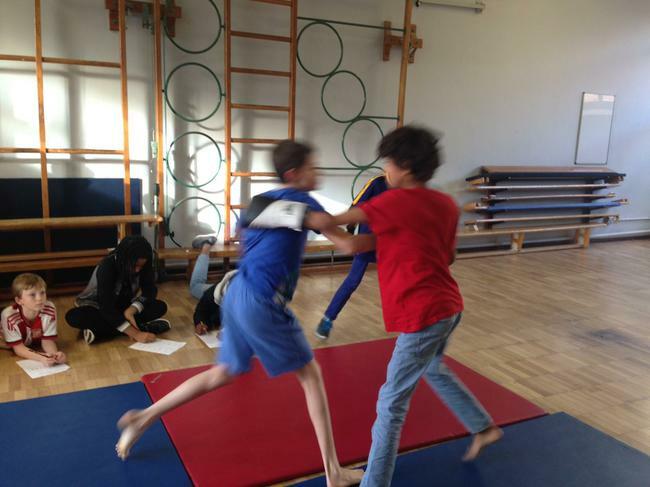 There wasn't a lot of clean jabs to begin with, so not lots of points but both boys had great movement around the 'ring'. 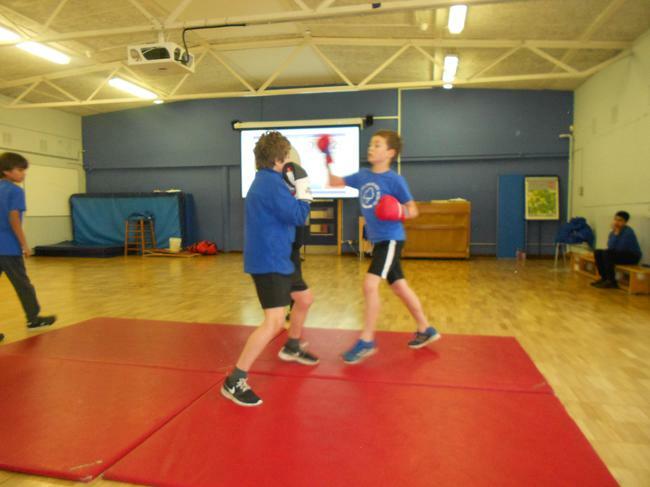 At times movement was a bit too quick with both boys losing points for going out of the ring. At the end of the first round Arun and Ben both had a judge each and the last judge said it was a draw. Sensing how close it was Arun raised his game in the following rounds and won both rounds according to all 3 judges. 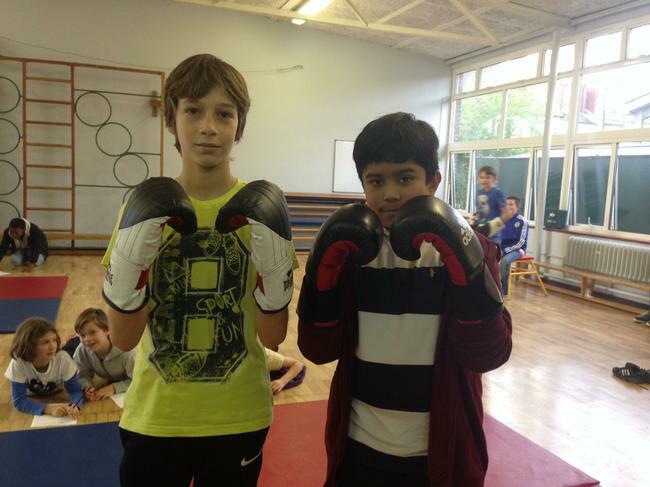 Well done both boxers but it is Arun who goes through. 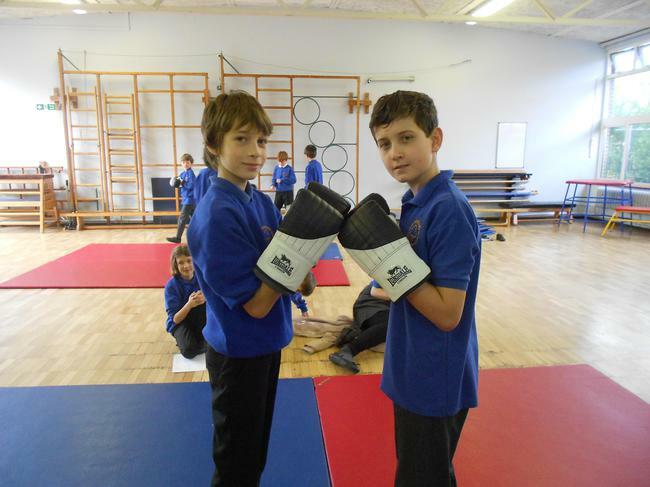 The second match-up today was Maxi S and Adam T. This was Year 6 v Year 5 again. Long reach v short reach again. Maxi was the bookies favourite here but we love an underdog here in England so the crowd was behind Adam. The round started and Maxi started strong scoring a number of early points. This seemed to rattle Adam slightly who tried his hardest to keep his defense strong. Despite Adam trying to keep his guard tight the first round went to Maxi. With Mr Winn in Adam's corner at the bell, Adam received some tactical advice which seemed to work. Second round was much better for Adam although Maxi was strong again and won the second too. In the final round Maxi kept throwing his jab to keep Adam away from him and held onto his well deserved lead. The 'fight' finished with Maxi winning and going through to the quarter finals. The main event today was advertised as 'Big Joe' v 'Danny the Destroyer' and it drew a big crowd. The audience was not disappointed with this one as both boxers clearly wanted to go through to the next round and going in for the early points. This was a very close 'fight' with the difference in points according to all 3 judges being just 3 in favour of Danny.The second round was as close as the first with Joe winning the round by 3 points, Danny winning the round by 3 points, and both boxers drawing. Final round and again both fighters were going for the points. Intensity was rising just a bit too much from both boxers in the second round and so both were reminded that we wanted 50% punches! It was another great round with 1 judge scoring 9-9, 1 scoring 8-8 and 1 scoring it 5-4 to Danny. 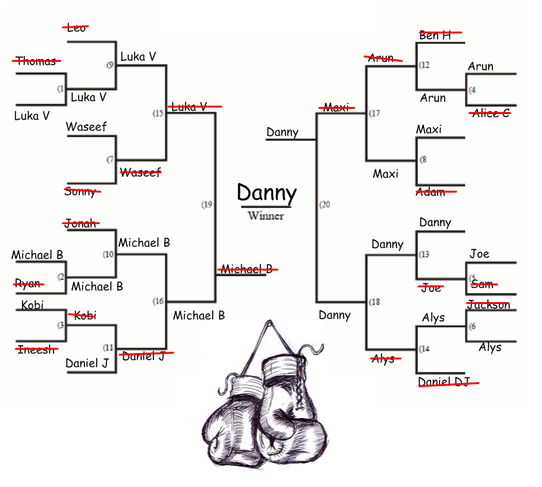 At the end of the fight the rounds were counted and Danny had triumphed. What a great end to today's tournament. 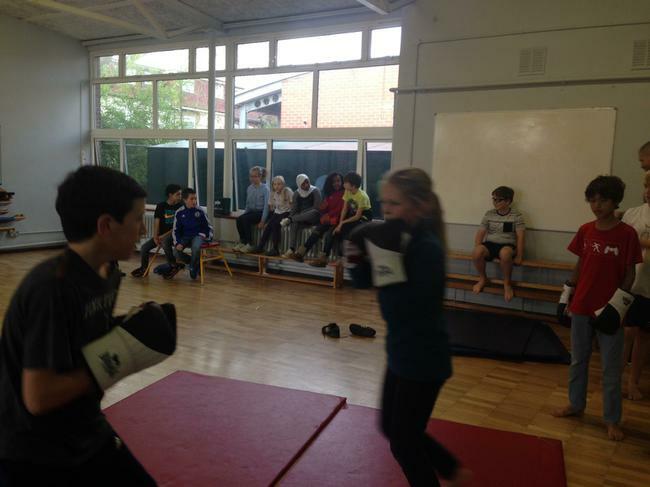 Well done to all of the boxers today, you have entertained us with your skills again! Tomorrow sees the start of the quarter finals and we cannot wait!! Leo C and Luka V were first into the ring today. 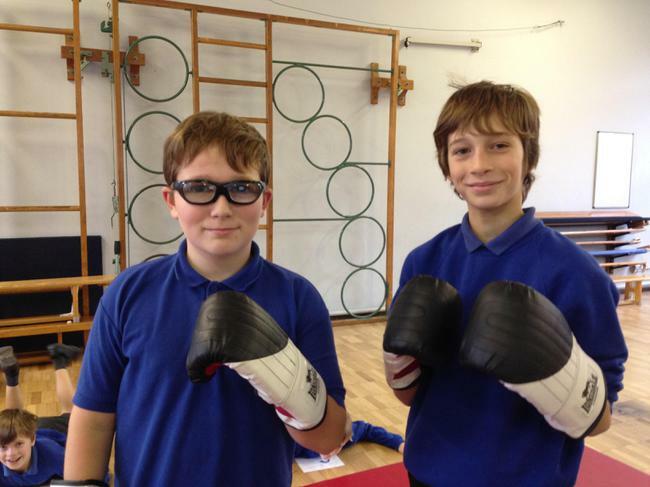 This was one of the picks of this round with both boxers proving their skills at Mr Winn's club. The contest lived up to expectations with both fighters scoring points early on. The first round was very close but Luka came out on top on all 3 judges cards to give him a great start. The next round was closer with Leo seemingly making a comeback but in the end the judges scored it 2-1 Luka. The bell for the start of the final round rang as both came out still hoping to progress. After a few good scoring shots and some great defense though it was Luka that won over the judges and ultimately progressed. Second of four fights today was Sonny W and Waseef S. Although both have been fantastic in boxing this term, I don't think anybody predicted how close it was going to be. In the first round 1 judge scored it 11-8 to Sonny, 1 judge scored it 11-8 to Waseef and the 3rd scored it 8-8. We were in for a close one! The next 2 rounds offered us more of the same which eventually led to Waseef winning 4 round and Sonny winning 4 rounds. We had a tie so we had to put on a final tiebreak round. It was 1 minute. Most points go through. 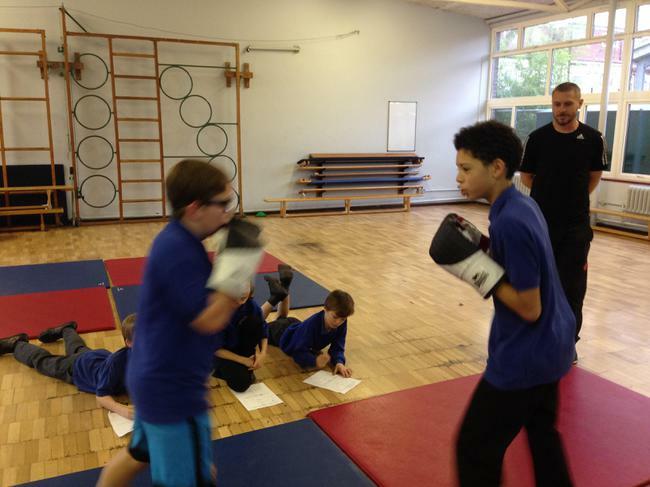 This was tense so Mr Thomas and Mr Winn stepped in to judge. After a very long minute it was....Waseef who came out on top in the tie break, winning the final round 7-5. Well done Waseef. Michael B and Jonah M stepped into the ring for the third bout. Michael definitely had the height and reach advantage here but Jonah was hoping speed would win him the points. The reach advantage proved key in the first round with Michael coming away with all 3 judges in favour of him. This only woke the beast inside of Jonah though as he went on to claim round 2 from all 3 judges. What a contest!! Final round and it was a nailbiter. 1st judge scored 13-13. 2nd judge scored 15-15. Surely not another tiebreak...3rd judge 15-14......to Michael B. Great contest but Michael just did enough!! 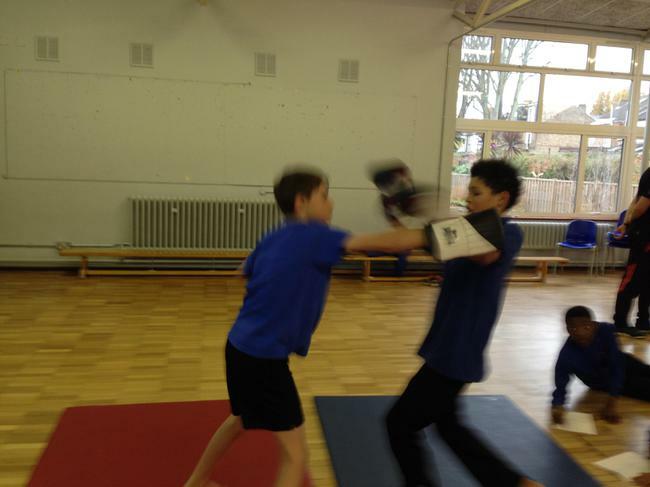 Last 'fight' of the day saw Daniel J and Kobi S step into the ring. Kobi had already warmed up with a victory in the previous round, whereas Daniel was lucky enough to go straight into the last 16 so Kobi was confident. His confidence was well placed as the first round went well for him. According to 1 judge Kobi won, 2nd judge said Daniel won, 3rd judge said draw! Next round was the same story which brought us to the third and final round. Kobi's fight on Monday must have caught up to him as he started to tire. Daniel feeling fresh started to up the pace and Daniel won the final round with all 3 judges. Daniel goes through. Brilliant boxing again today and although they didn't go through both Sonny and Jonah deserve special mentions for coming so close. Both Mr Thomas and Mr Winn agreed they both earn 5 constellation points each for the effort!! Well done everybody today. See you tomorrow. Day 2 of the competition and we remembered our camera today!! 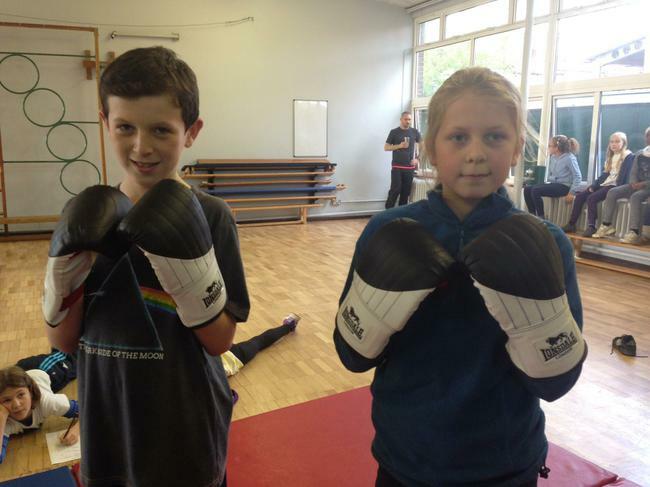 So today we had some more great boxing and we have the photos to prove it. First up today was Arun S and Alice C to start the day off with a bang. Both boxers scored a lot of points in the opening round which only had a few points in it. The first judge score 19-18 in Arun's favour, the second scored 20-17 in Arun's favour and the third scored it 18-16 in Arun's favour. 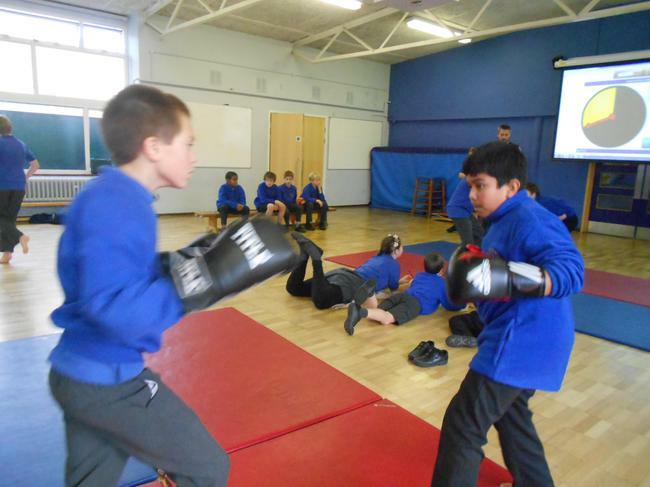 The pace slowed slightly in the next 2 rounds with both boxers being a lot more cautious and keeping their guard up. 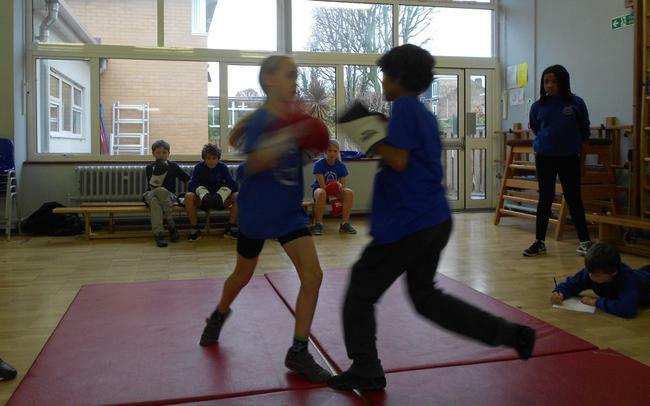 The fight ended with the judges scoring 7 rounds to Arun and 2 to Alice but every round was very close! Well done to both fighters. Next up was Joe W and Sam J. Both fighters had seen how quickly the previous guys came out and decided to opt for a more defensive approach. There wasn't a lot of scoring shots in the opening round but it was Joe who ended up on top. Sam had some great movement in the next round but Joe's defense was unbreakable. Although Joe's defense was stopping Sam scoring, he was also picking up points by throwing selective shots towards Sam's shoulders. Second round was tight and finished 8-3, 8-3, 7-4 all in favour of Joe. The final round was more of the same, with Sam trying his hardest to get through but Joe blocking and scoring points back. Joe goes through to the next round. Well done both boxers. Third and final bout of the day Alys G up against Jackson R. It has to be said Jackson was the crowd favourite here but that didn't help him in the first round. 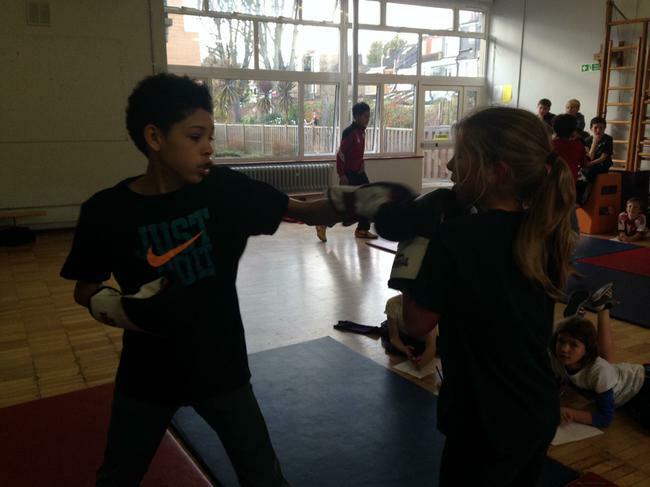 More great defense was on show from Alys and again some great counter punches. It was another low scoring round but very entertaining. 5-3, 5-2, 4-2 to Alys. The second round saw Alys gain some confidence and she started moving towards Jackson and pushing him towards the outside of the ring. Another low scorer but dominant from Alys. 3-1, 3-1, 6-3 to Alys. Final round and Jackson knew he had to make amends. With a great change in his attitude Jackson went on the offensive and forced all 3 judges to give him the final round 2-3, 1-2, 1-3 to Jackson. Unfortunately for Jackson it was too late and Alys goes through with a solid performance. Again congratulations to both boxers. Well done everybody today. We are now down to the last 16, see you tomorrow for the next round. First day of the Fielding Boxing Constellation Championship and we had 3 spectacular bouts to enjoy. 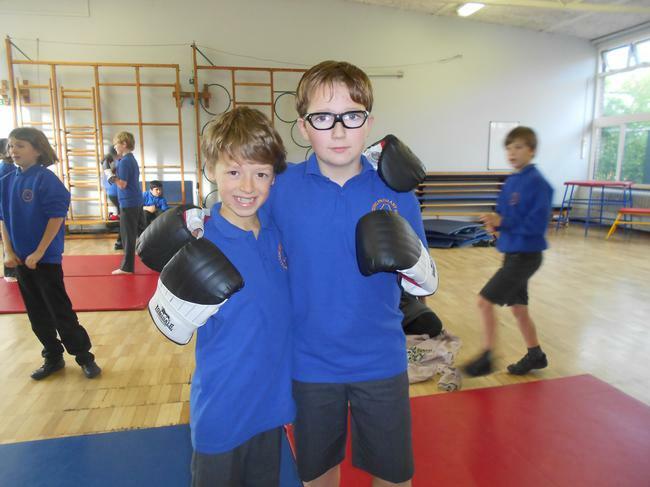 First into 'the ring' was Luka V and Thomas B, both from Year 6. The boys both started with a lot of energy and scored a lot of good tags each, but it was Luka who came out on top on the judges score cards. 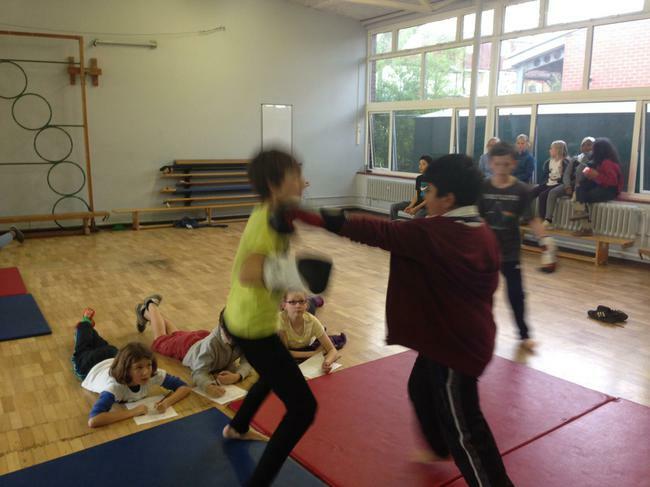 The fight continued in the same vain for the next 2 rounds with Luka edging the points victory in each round. Luka V through to the next round. 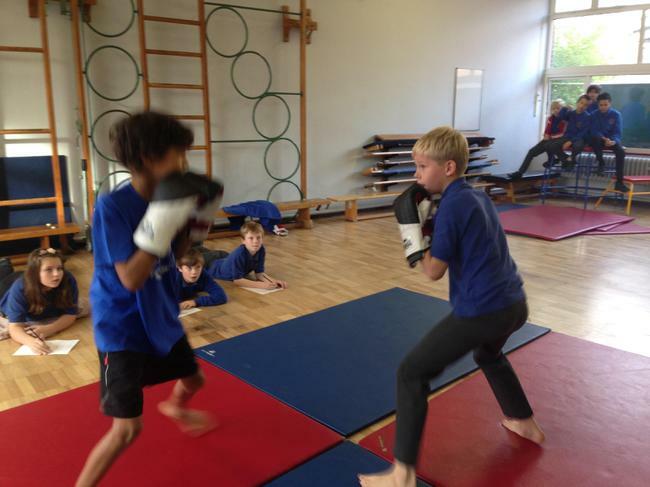 Second match up of the day was Michael B against Ryan K. This was a David and Goliath battle with Michael in Year 6 up against Ryan in Year 5. 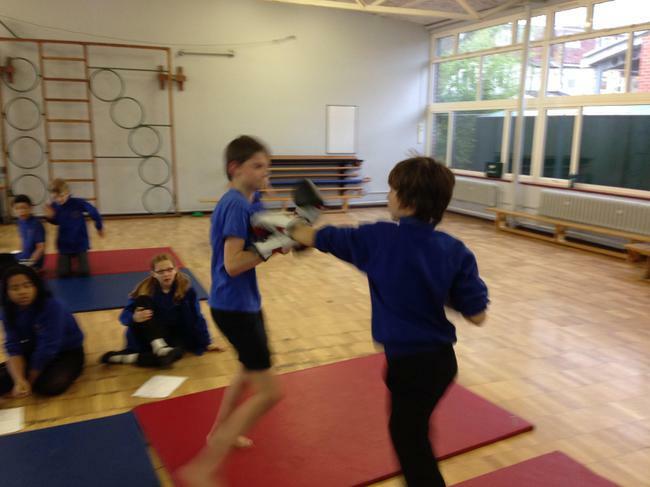 Ryan did the Year 5s proud though with some lightning quick boxing. Michael was calm and kept scoring point as well however, which led to 2 judges scoring the round to Michael and 1 to Ryan. The second round was a great show from both boxers again, with Michael again edging the points from the judges. Unfortunately for Ryan he seemed to grow more tired as the third round continued and Michael ended up with a comfortable 3-0 victory. Final 'fight' of the day saw Kobi S touch gloves with Ineesh G. Ineesh started off strong scoring a few good points with some accurate tags to Kobi's shoulders. Kobi kept his cool though and answered back with a few good jabs of his own. 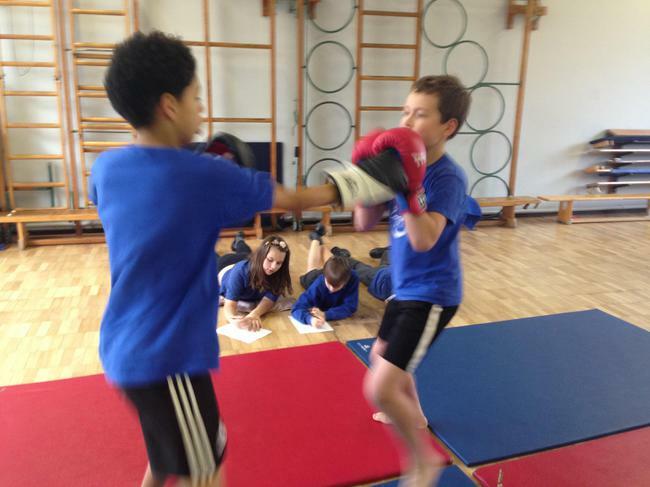 The final 'fight' ended up with all three rounds going to Kobi. Well done to all 6 boxers today but special well done to Luka T, Michael B and Kobi S who all progress to the next round. 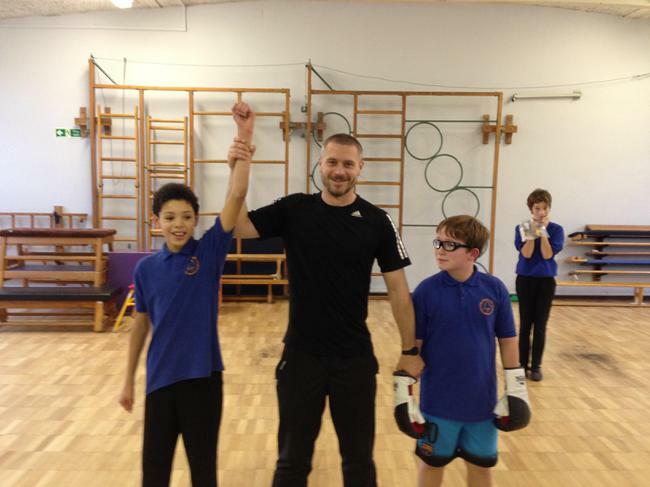 Mr Winn was also very impressed with Ryan's boxing today and so has awarded Ryan with 5 constellation points! Well done. 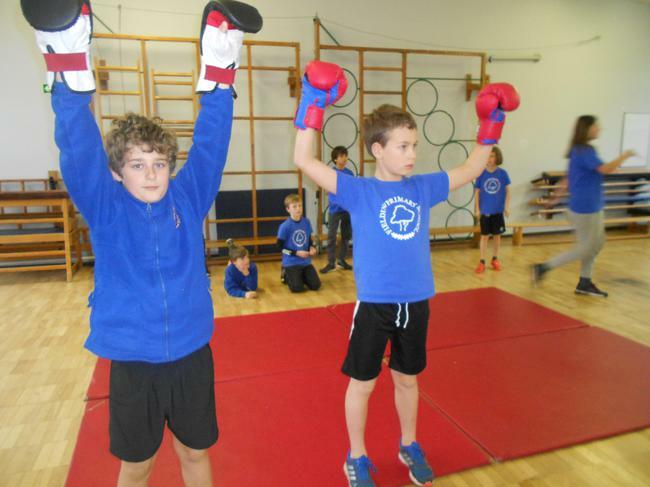 Next week will see the introduction of a brand new intra-school tournament which will see boxer against boxer, constellation against constellation. 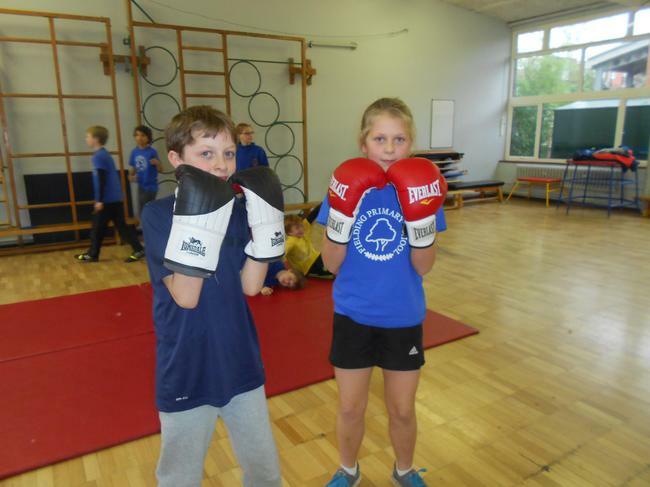 Starting on Monday 23rd November will be the Fielding Constellation Boxing Championship, a tournament which will see 6 days of boxing talent from some of our Year 5 and 6 children. 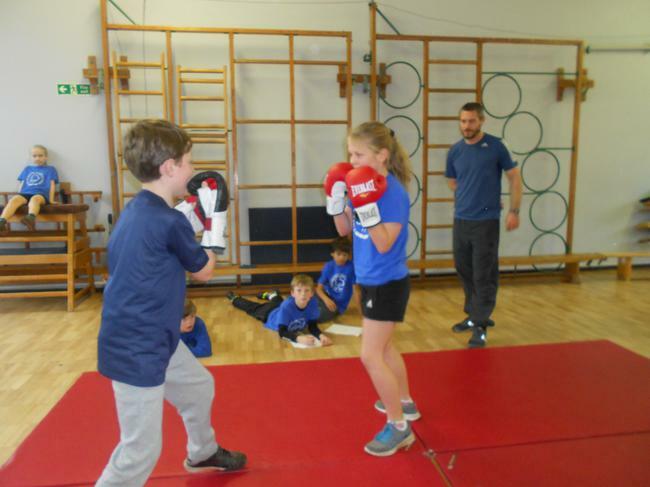 Children who have been training with Mr Winn at boxing club have been invited to take part in the tournament which will be knockout style to determine Fielding's best boxer. In addition to the winner recieving that accolade they will also win 20 points for their constellation in the PE and Sport Constellation Cup. The runner up will score 15 points, third and fourth will score 10 and 5 points respectively. 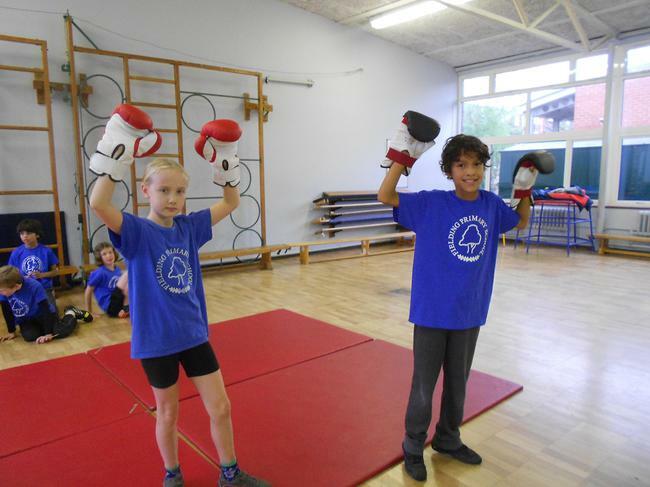 Constellation points may also be awarded throughout the tournament for great attitude and sportsmanship and demonstrations of fantastic boxing. 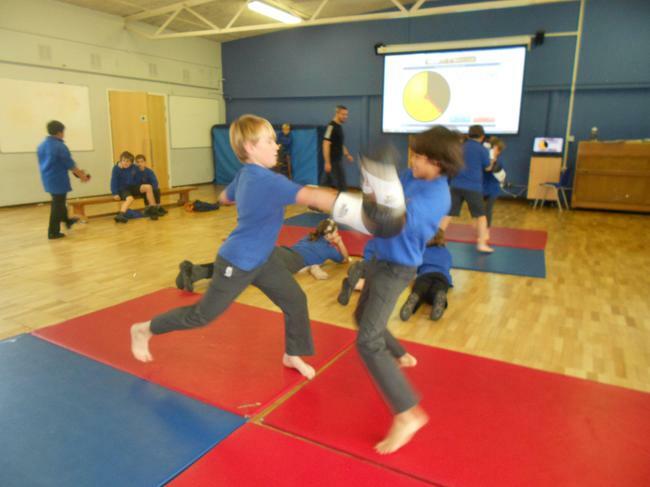 'Fights' will be modified to ensure our children are protected from injury. 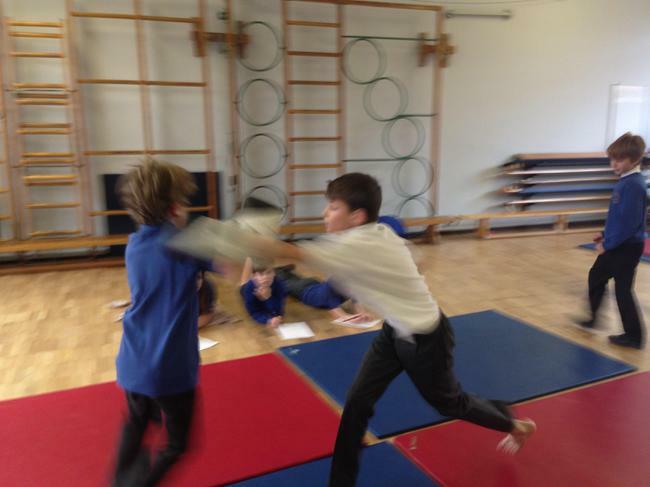 This will involve the children scoring points in 'fights' by 'tagging' the shoulders of their opponents. 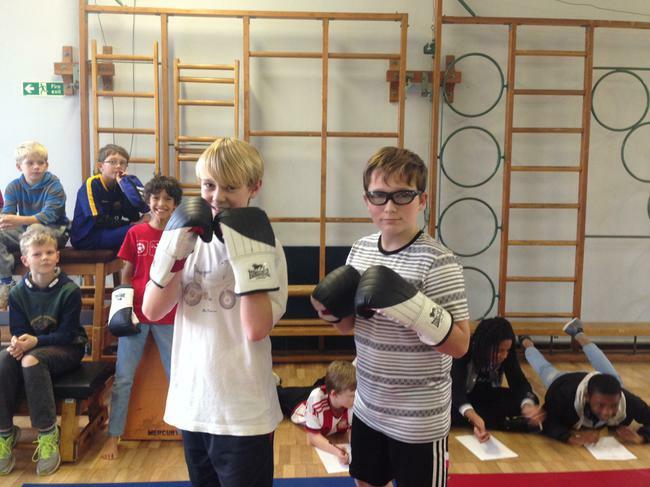 Each 'tag' will be counted by one of our judges resulting in the boxer with the most points winning the 'fight'. Head and body shots will be strictly forbidden and gumshields will be needed to be worn at all times. 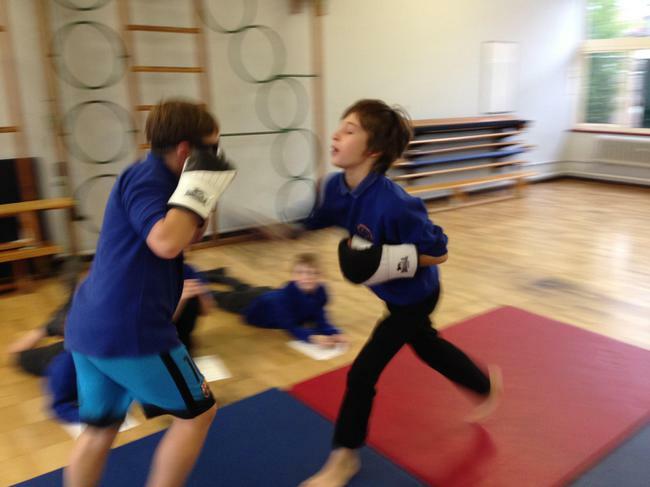 'Fights' will be made up of 3 x 1 and a half minute rounds and will take place every lunch time of the week beginning Monday 23rd November. 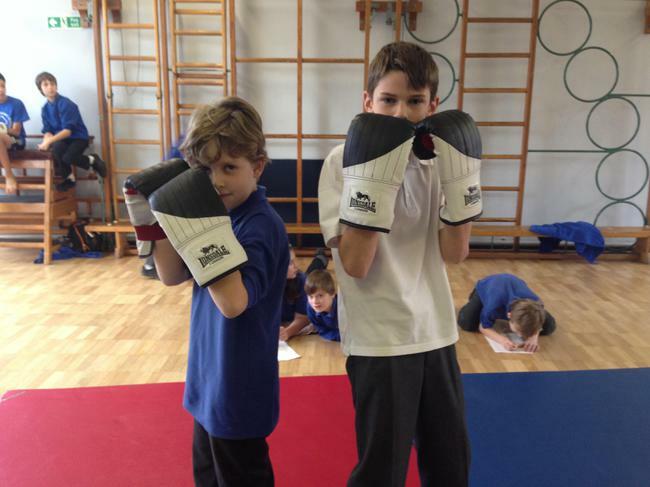 Good luck to all of our brave boxers who have signed up. Check back tomorrow to see who has been drawn to face each other in the first round of 'fights' in the competition.